With the passage of time, often our nostalgia can blind us to the merits, or faults, of beloved, and sometimes dreaded, anime. 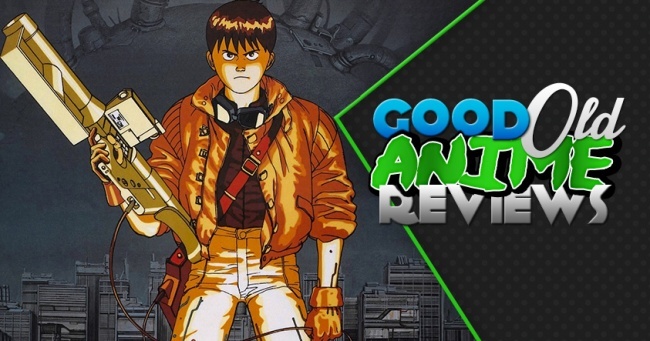 Through this series I plan to take an objective look at these anime so that those who might be interested have a reference point before they devote their time to a show or film. In order to be considered for these reviews, the anime in question must be at least 15 years old. The final rating of the show will be based on five components: story, visuals & animation, voice acting, music, and lasting impressions. I hope this series will be a guiding light to those who have an interest in the history of animation, or are even just big fans of a certain era of anime. If you have any suggestions for what series I should cover next, or just want to discuss your favorite anime, sound off in the comments below! Release Date: 16 July 1988. Produced by Tokyo Movie Shinsha, the version watched was dubbed by Animaze and ZRO Limit Productions in 2001. There are very few anime with the impact that Akira had, especially during a period when the medium was attempting to make its journey to the States. Thanks to the Sci-Fi channel and Toonami, Akira has had a lot of success in the Western market, as it was many Americans' first experience with anime, and that set the bar high. Akira is based on a manga of the same name by Katushiro Otomo, but the film actually released two years before the manga was completed. Luckily, Otomo was able to direct and help write the film, so the overall tone of the original work is preserved in the final cut. Before viewing Akira, I read all six volumes of the original manga, which I would highly recommend to anyone, so I had a reference point for what to expect from the film going into it. The story takes place in a futuristic "Neo-Tokyo," rebuilt from the ashes of the original Tokyo that was nuked years before. Motorcycle gangs and drug lords own the streets of Neo Tokyo once the sun sets. Best Friends (and personal rivals) Tetsuo and Kaneda are teenagers who care about three things: girls, bikes, and drugs. At the beginning of the film, another motorcycle gang challenges Kaneda's crew, leading to one of the best action sequences in anime history. During the race, Tetsuo crashes his bike in an attempt to avoid running over what appears to be a child. The next day he begins having headaches and is taken by the military with little explanation. He soon discovers that he is gaining psychic powers and that he is not the only one with these skills. He then learns that the source of the mysterious explosion that destroyed the city years earlier was the fault one of the psychics, codenamed Akira. This uncovering then spurs Tetsuo's destructive journey to revive Akira and Kaneda's hopeful quest to stop his friend before it's too late. The story of Akira is a tightly woven adventure that hones in on the struggle of friendship and the dangers of forbidden knowledge and unlimited power. Tetsuo's journey is fueled by his jealousy of Kaneda, and Kaneda's by revenge for the destruction of Tetsuo. Although most of their conversations feature them yelling at each other, the film supplies several flashbacks that show how the two met, with Kaneda always being a sort of protector for Tetsuo, making Kaneda's mission to kill Tetsuo that much harder to swallow. It is a film that truly tests the limits of brotherhood and explores the dilemma of having a loved one be seduced by unlimited power. Besides the heavy psychological themes, Akira is also a thrilling sci-fi adventure that keeps you on the edge of your seat the entire time. It rarely slows down, and when it does, it's so viewers can finally catch a breath from the constant action and consider what's going on in Neo-Tokyo. While the action scenes make the movie enjoyable, I wouldn't call the experience fun, as watching Tetsuo's descent into madness is tough, as is Kaneda's struggle to bring Tetsuo down. The film does pay off, though; after watching it twice, the message is much more poignant and demonstrates the dangers of seeking knowledge or power on a level that borders on Lovecraft.